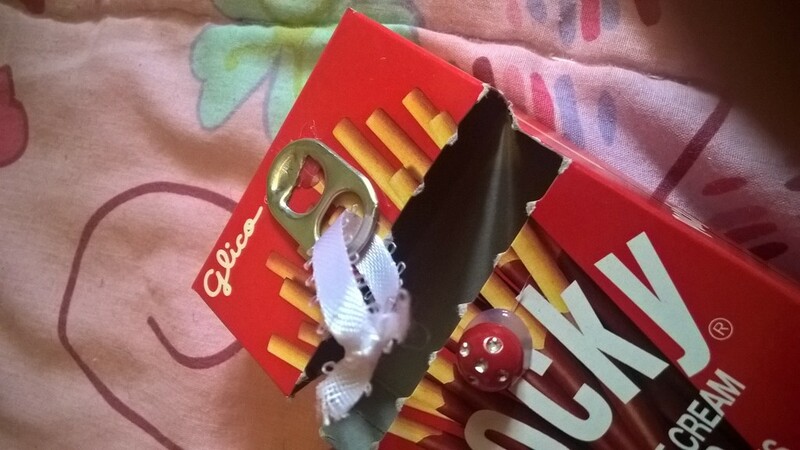 Hai lovelies, do you need a business card holder for a convention? Something to keep your contact cards in without getting in the way of your cosplay? 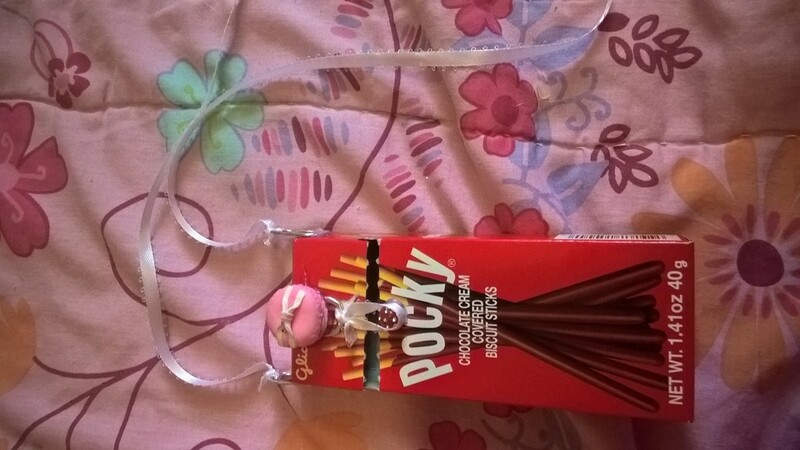 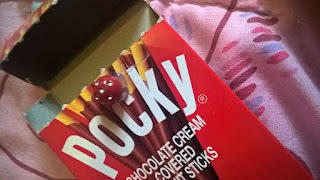 Why not make one from a pocky box? Materials: Ribbon, pocky box, pop tabs, hot glue, bead, decorations. 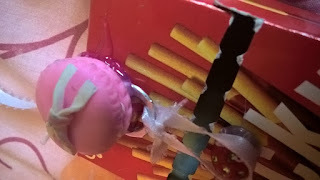 Step one: Hot glue the bead onto the box as shown. 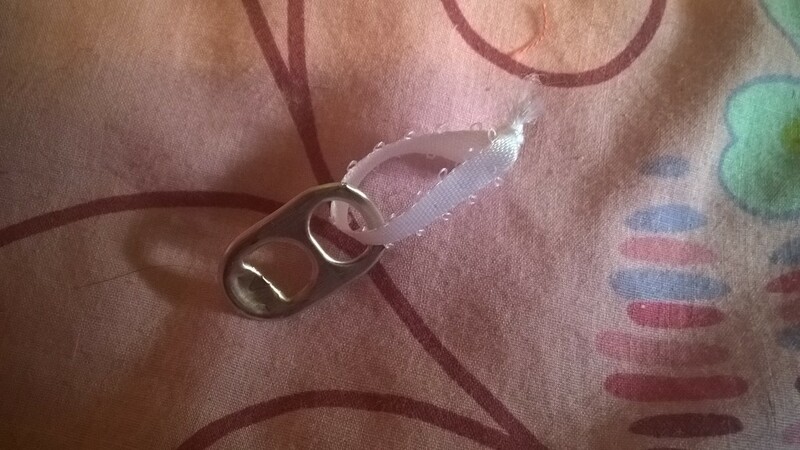 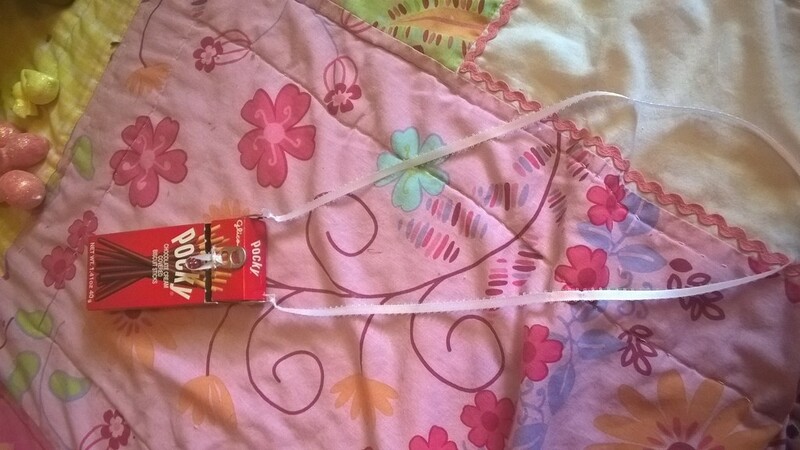 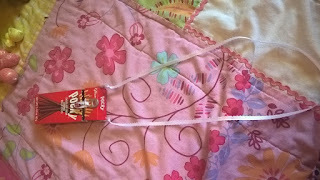 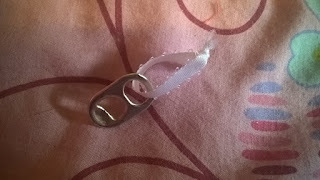 Step two: Tie a loop of ribbon onto a pop tab as shown. 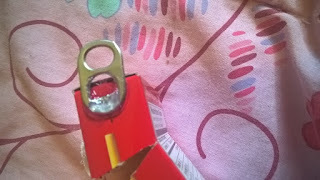 Step three: Hot glue the pop tab to the box in a way that the ribbon can wrap around the bead. 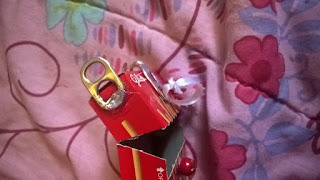 Step four: Glue pop tabs to each side of the top of the box as shown. 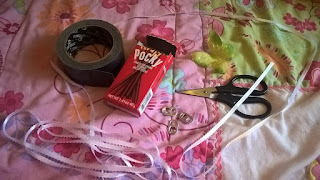 Step six: Add your desired decor, I'm adding a macaron!